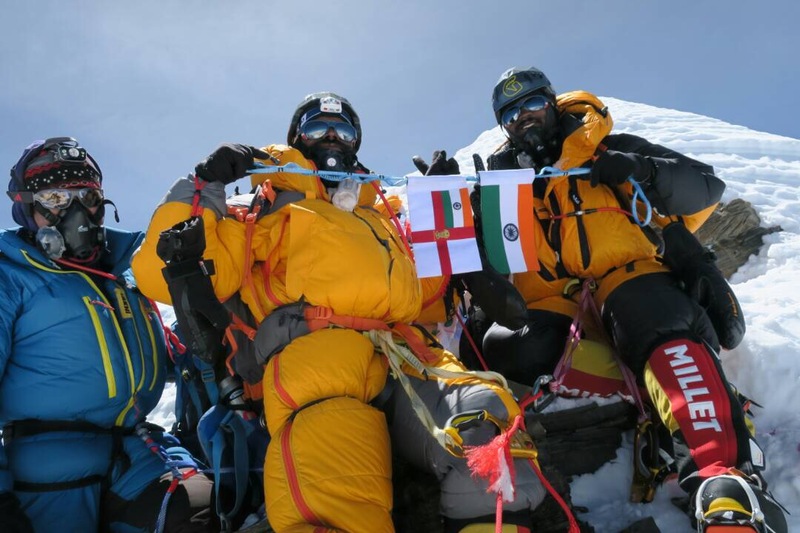 Chindits: Indian Naval Mountaineering Team Successfully Unfurled National Flag and Naval Ensign Atop Highest Point on Earth at Mt. Everest. 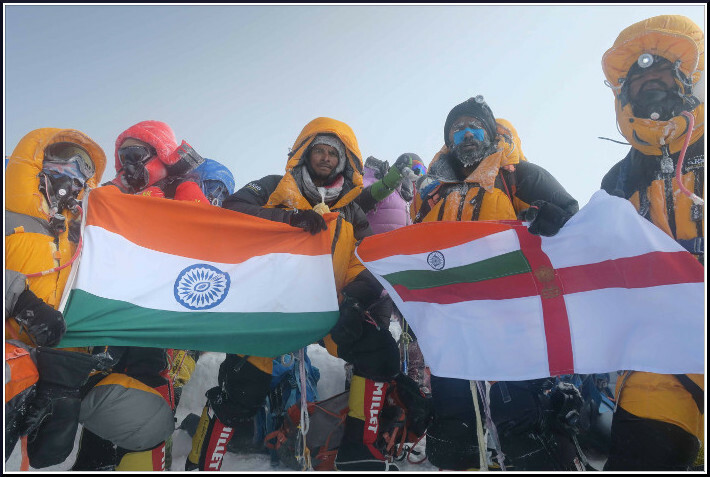 Indian Naval Mountaineering Team Successfully Unfurled National Flag and Naval Ensign Atop Highest Point on Earth at Mt. Everest. 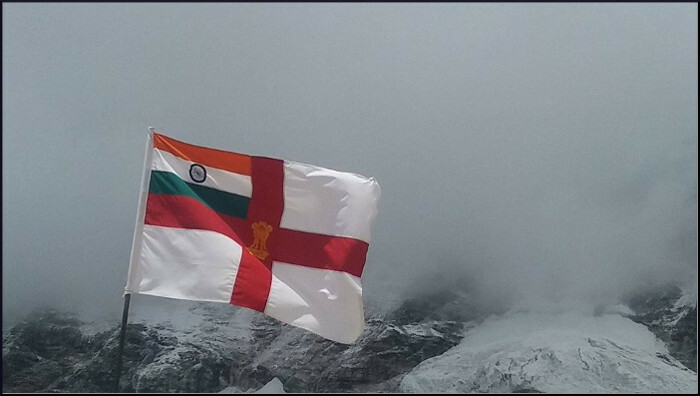 The Indian Naval Mountaineering team comprising eleven summiteers (9 on Mt Everest & 2 on Lhotse) have successfully unfurled National flag and Naval Ensign atop highest point on earth i.e. Mt. Everest and thereby achieving this remarkable feat under challenging conditions. The expedition was headed by Cdr Sanjay Kulkarni (Oi/c expedition) and comprised 18 climbers for Mt Everest; two climbers for Lhotse and four base camp members. The team followed the route from Jiri and trekked to Everest base camp covering over 180 km in 16 days of arduous climb, gradually gaining height and also acclimatising in the process from 05 to 20 Apr 17. The climbers were divided into two teams (A and B) comprising 9 members each. 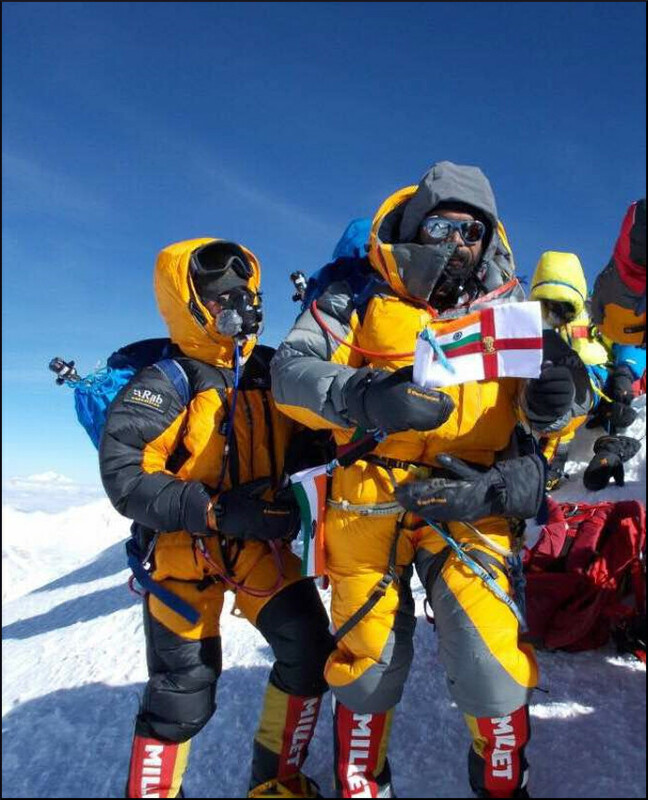 The first attempt was made by Team A and four members scaled the peak in the wee hours of the morning on 21 May 17. 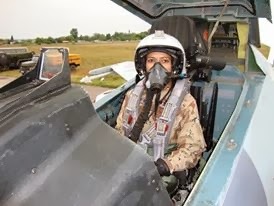 Lt Shashank Tewari the first to summit, said that the words of the legendary Indian mountaineer Capt MS Kohli, “One more step”, kept echoing in his mind and urging him to reach the top. The conditions were tough owing to high wind speeds and a beeline of climbers causing blockades. 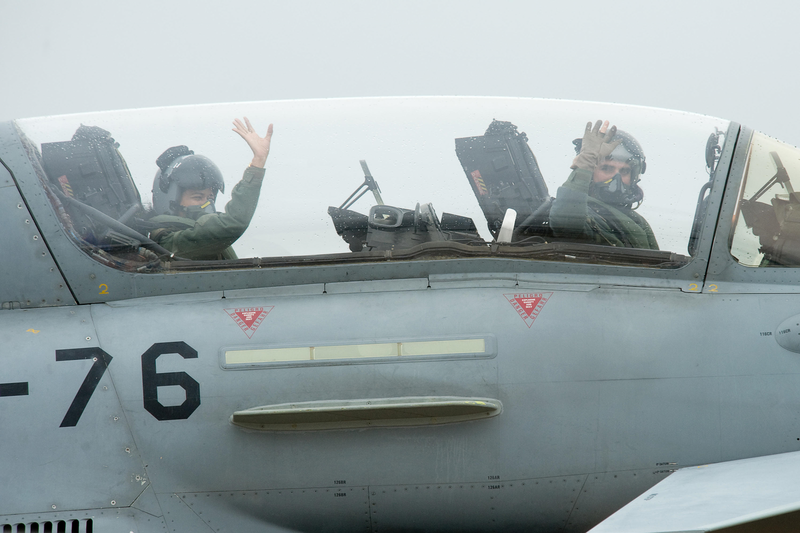 It was their mental resolve to accomplish the naval mission which made them reach the summit. 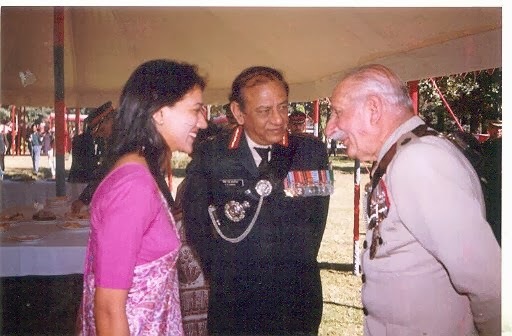 The Team B attempted the climb on 27 May 17 and a total of five members summited the peak led by Lt Cdr Hari Prasath. The team had an agonizing wait of five days mid-way through for the weather to clear and commence their climb. The team seized the first available window and reached the summit on 27th May 17. Meanwhile, two climbers summited Lhotse peak on 25 May 17. 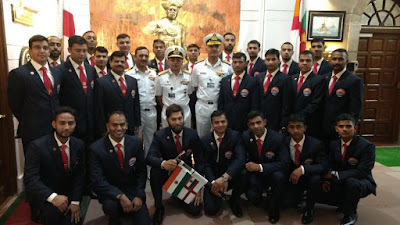 Cdr Kulkarni stated that a lot of effort had gone into planning & organizing the naval expedition and training the expedition team, however, it finally was the individual effort on the final summit push which resulted in triumph of the human spirit over the challenges posed by nature. The base camp team led by Cdr Vishnu Prasad provided able support to the mission with regular updates on weather and coordinating the logistics requirements. Navy Medical team consisting of two doctors Surg Cdr IB Udaya and Surg Lt Prashanta treated nearly 300 patients at the medical tent set up at the base camp which included 65 percent Sherpas. 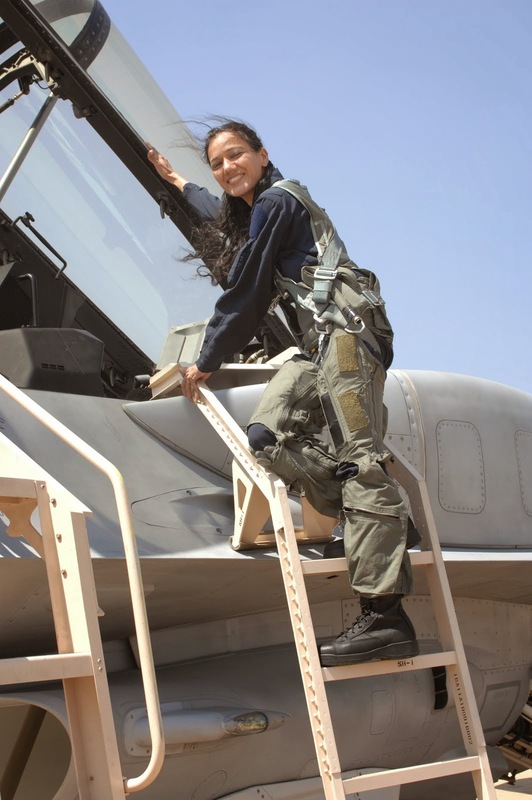 Almost 15 percent of cases were critical requiring evacuation after stabilization. This medical facility provided free of charge brought a lot of goodwill to the India Navy. 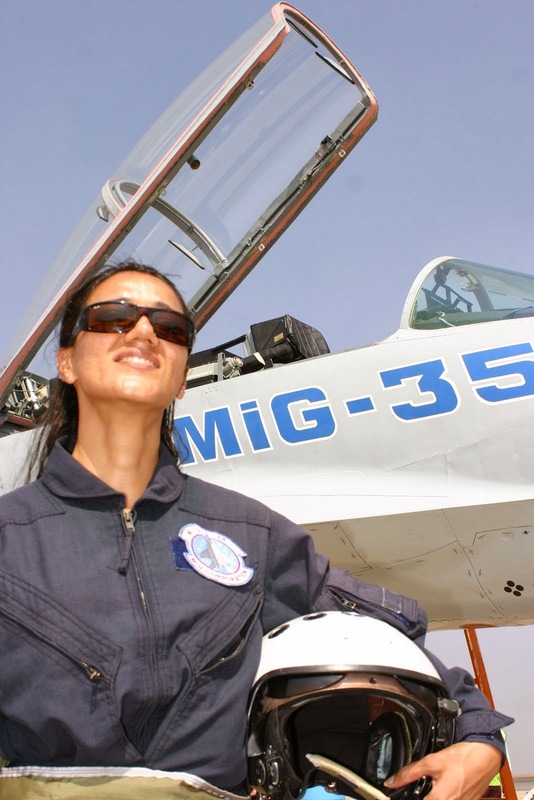 The Indian Navy provides maximum opportunities and encouraging people to participate in adventure activities including mountaineering in the Himalayas. The last Mount Everest expedition by the Navy was conducted in 2004 under the leadership of Cdr Satyabrata Dam and five Naval mountaineer summited the peak. Navy has once again revived the extreme sports of mountaineering in a major way in 2015, in order to inculcate and develop the qualities of physical fitness, motivation, moral courage, endurance, team spirit which are considered some of the most essential attributes required of a fighting man in uniform. Indian Navy Mountaineering Cell (INMC) conducted Basic and Advance Mountaineering courses for over 100 volunteers at reputed mountaineering institutes in the country. 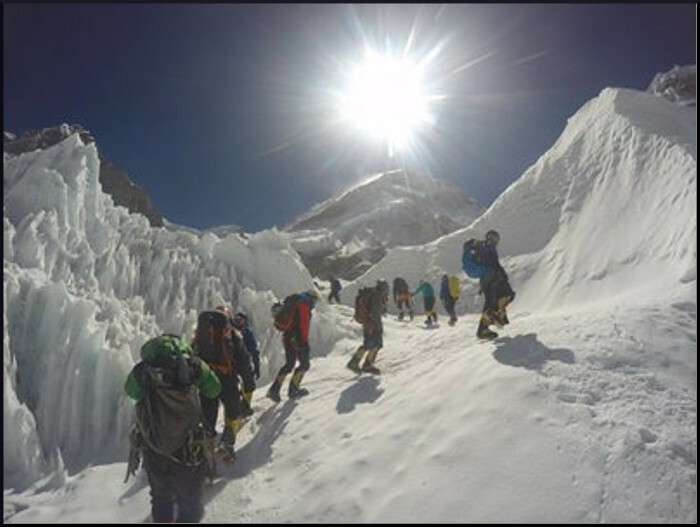 A series of eight mountaineering expeditions were undertaken between 2015-2017 to build the team for scaling Mount Everest. These were Mt Saifee(6216m)- May 15, Mt Stok Kangri(6135m)-Sep 15, Mt Kun (7077m)-Sep 15, Mt Jogin I & III(6465)- May 16, Mt Kamet(7756m) & Mt Abi Gamin (7355m)- Jun 16, Mt Satopanth(7075m)- Jun 16, Mt Saser Kangri(I) & (IV) (7416m)/(7672m)- Sep 16, Mt Mukut (7135m)- Sep 16. A pool of 60 mountaineers was created who had climbed atleast two peaks in the past couple of years. The shortlisted climbers were sent to Siachen Glacier during end Dec 16 for intensive winter training and final selection for Everest. The team of twenty four members thus selected was flagged off by the Chief of Naval Staff on 23 Mar 17 left for Kathmandu in early Apr 17. The Navy had hired the services of M/s Seven Summit Treks Pvt Ltd of Nepal as the expedition operator. Mr Mingma, the owner of M/s Seven Summits and a decorated member of the Nepal Mountaineering Association said that it was a difficult season for the mountaineering fraternity with only 20-25 percent success amongst the 323 permits issued this year. Cmde Arvind Singh Rana, Principal Director at NHQ mentioned that the India Navy has a rich history in mountaineering and this particular expedition was organized to commemorate the golden jubilee of the first successful Indian expedition led by a Naval officer in 1965. Five members from Team B successfully summited Mt Everest, 8848 m at 0730 hrs on 27 May 17. The summit team comprised of Lt Cdr Hari Prasath, Hari Om Petty Officer, Sandeep Singh LPT, Ashish Gupta LA AH and Avinash Bhawane MA I. The number of total summiteers from Indian Navy team reached 09 plus 02 on Mt Lhotse.